AN ENVIABLE LOCATION IN THE HEART OF THE LOWCOUNTRY. Every day at Oldfield represents a unique experience, as well as an opportunity for adventure. Enjoy a fitness class with friends, a morning kayaking trip from the Outfitters Center, or even just taking in the abundant natural beauty from your sweeping Southern front porch. Yet, even more adventure and discovery awaits just moments from our community’s entrance. Oldfield is truly at the epicenter of all the Lowcountry, one of the country’s most popular regions, has to offer. Life at our community includes trips to the area’s ever-popular Farmer’s Markets in Old Town Bluffton and Port Royal, strolling through the historical and cultural gems of Savannah and Beaufort, and relaxing on the beautiful beaches of Hilton Head Island. 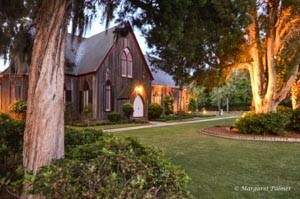 The Huffington Post names Bluffton the #1 Top Amazing “Non Beach” Getaway! You only have to stroll through the Old Town district of Bluffton situated a breathtaking bluff of the sweeping May River to see why this gem of a town earn this national top rating. Owner’s Favorites – the Thursday Farmers Markets are so much more than simply produce. They have a true “block party” feel, and the streets are alive with music, artists and artwork, and a variety of vendors from locally grown fresh produce to the ever-popular handmade ravioli of the week. Over the course of the year you’ll also enjoy the Beer and Brats festival, Bluffton Village Festival, Bluffton Arts and Seafood Festival…so many fun activities for the family to enjoy! The river offer endless options and the world-renowned and the world-renowned Bluffton Oyster Company has been producing the best of its namesake for well over 100 years. Ranked in the Top 20 Best Destinations in the U.S. by Trip Advisor! 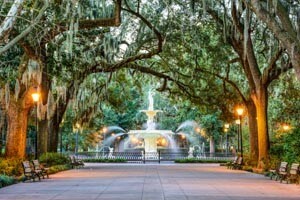 Quaint cobblestone streets and its legendary, Riverfront, fountains and city squares make Savannah one of the most intriguing and visited cities in the country. Owners’ Favorites – Many owners participate in two of the city’s world-renowned events, both of which are quite different from one another, but are equally energizing – The Savannah Rock n’ Roll marathon and half marathon and the St. Partick’s Day Parade and Riverfront party, cited as the nation’s 2nd largest (only New York City has a grander event)! The Savannah/Hilton Head International Airport is a huge asset, with hundreds of daily direct flights, providing literally a world of destination options within 25 minutes of Oldfield. Named One of the Top Ten Islands in the U.S. by Trip Advisor! This one-of-a-kind barrier island is known as one of the most family-friendly destinations in the world, and has also been named as one of the top 10 family beaches in the country. 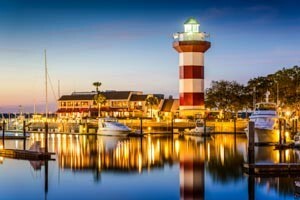 Hilton Head is the ideal location for a beach getaway and offers infinite opportunities for an unforgettable island experience. Owners’ Favorites – Boating from Oldfield to grab dinner on the waterfront in historic downtown Beaufort and the many festivals and celebrations. The historic district loves to host a party in the way of a series of renowned festivals that welcome all of the Lowcountry and nationwide guests. The Shrimp Festival, the Water Festival, the Gullah Festival, the Soft Shell Crab Festival and the Film Festival – enjoy one or all! Named one of Southern Living’s ‘Small Towns That We Love’! A charming waterfront downtown featuring Antebellum mansions, moss draped live oaks, horse drawn carriages, world-class dining, and some of the richest history found in the South. 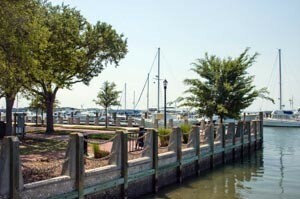 Owners’ Favorites – Boating from Oldfield to grab dinner on the waterfront in downtown Beaufort and the festivals. The historic district loves to host a part in the way of a series of renowned festivals. The Shrimp Festival, the Water Festival, the Gullah Festival, the Soft Shell Crab Festival and the Film Festival – enjoy one or all! “What an idyllic setting! Our cottage sat right on the marshes and Okatie river front. This is quintessential ‘Lowcountry’, with a sprawling back porch, complete with rocking chairs and plenty of room to rest and just watch Mother Nature do her thing.” Jim C.
“The property is absolutely gorgeous and so well manicured – we knew it would be the perfect spot as soon as we saw it.” Meghan K.
“You’ll fall in love the minute you drive through the front gate underneath the Spanish moss and live oaks.” Katelyn C.